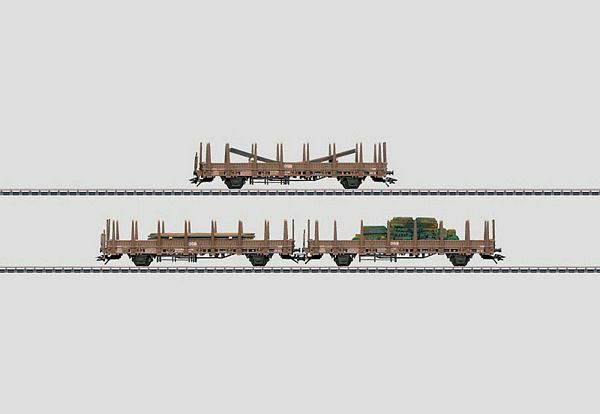 Prototype: Danish State Railroad (DSB) type Kbs 443 stake cars. Loaded with used ship's parts. The cars look as they did at the end of the Eighties. Model: The set consists of 3 cars. The stakes can be removed from the cars. Length over the buffers 47.1 cm / 16-7/16. DC wheel set per car 2 x 70 0580.